Like many naturopathic doctors, Dr. Kaley Burns discovered her passion through her own healing journey. After visiting multiple physicians and specialists with no success, Dr. Burns’ mother suggested she see a naturopathic doctor. Accustomed to conventional medicine, she was aware of naturopathic medicine misconceptions, but also believed that medicine could provide more. Naturopathic medicine gave her the healing results that she long desired. A then-physical therapy aide with dreams of becoming a physical therapist, Dr. Burns changed career paths and applied to naturopathic medical school, supported by the mentorship of her naturopathic doctor. 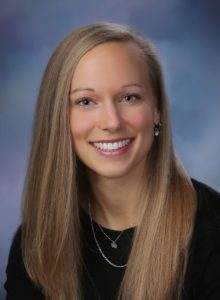 With roots in Minnesota and an undergraduate degree from Wisconsin, Dr. Burns is a self-proclaimed “Midwest girl at heart.” She was attracted to National University of Health Sciences (NUHS) for its location in Illinois, and the collaborative programs. Throughout her schooling, she worked alongside chiropractors, massage therapists, acupuncturists, and other health professionals to expand her knowledge and open doors to integrative care. Dr. Burns also participated in a medical brigade to bring the healing power of naturopathic medicine to an underserved population in Nicaragua. Furthermore, she describes her NUHS clinic rotation at the clinic where she is currently practicing as an integral part of her growth as a naturopathic doctor. Following graduation, Dr. Burns took some time off to reconnect with her loved ones before making the move to her first job at an integrative clinic in Connecticut. Since then, Dr. Burns has moved to Montana and practices full-time at a naturopathic primary care clinic. Dr. Burns enjoys spending time with family and friends as well as building connections in the community. 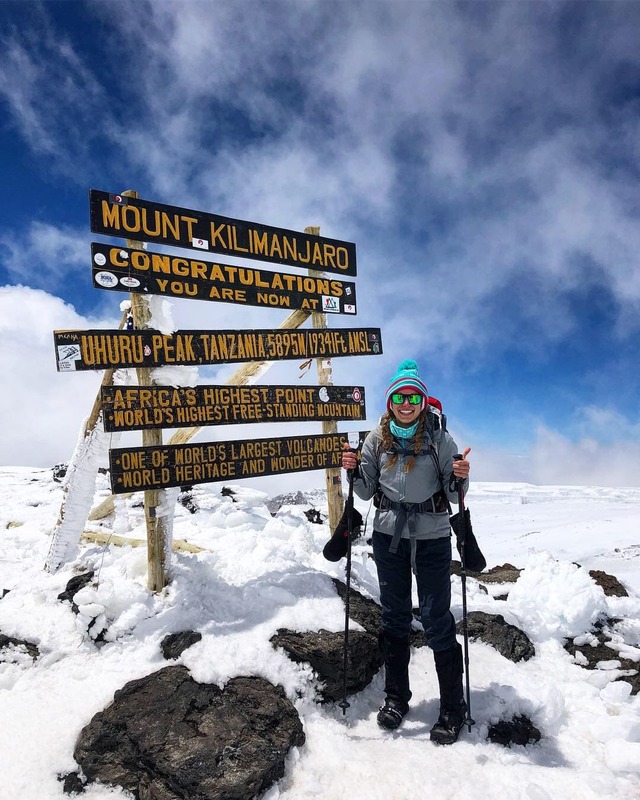 She also values an active lifestyle and recently summited Mount Kilimanjaro. Naturopathic medicine is rewarding career with many paths. “I encourage prospective students to embark on this journey because you believe whole-heartedly that there is a better way to help patients, a better method of healthcare. The infinite tools and meticulous training of naturopathic physicians allow us to truly treat each patient uniquely.” To learn more about career paths in naturopathic medicine, click here. Hailing from southeast United States, Blake Langley, Naturopathic Medical Student Association President and ND student, knew medicine was his calling since middle school. “I have always loved organization and facilitation of others’ clarity and efficiency. Over the last four years, I have invested an average of 30 hours per week into representing students on a national level in advocacy, training, education, and opportunity development through the Naturopathic Medical Student Association. I eat, breathe, and live the NMSA at this point in my life and it augments my clinical and didactic education in a way that keeps me passionate about what we do and teach. From my volunteerism with the other organizations in the profession, I’ve found my niche – as much as I love direct patient care, I know I will continue to be involved in administration throughout my career. 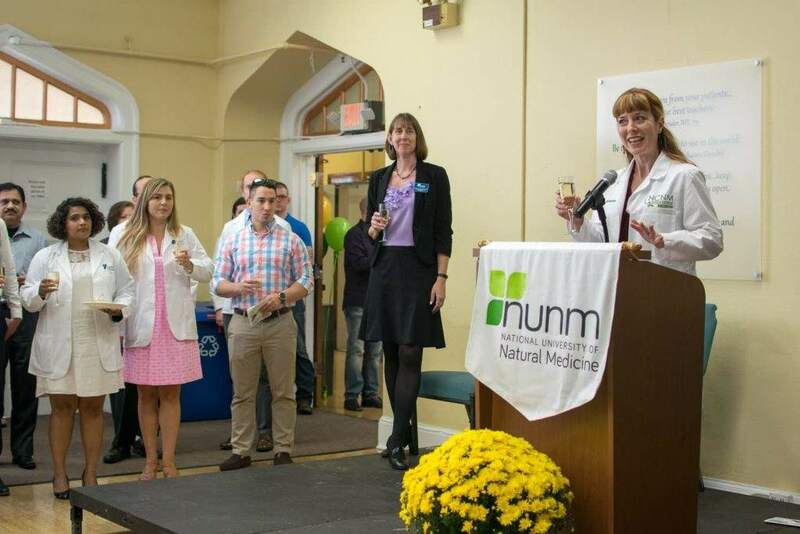 Dr. Baldwin-Sayre describes her time at NUNM as turning point in which she found a community of students and faculty who were dedicated to an alternative healthcare approach. “That passion was important to me, and made me realize that I not only wanted to help individual patients, but also to introduce to a much wider audience the idea that we could do things differently in health care and have great success in the process. We all had different spins on how we wanted to do that, but we were absolutely united in that underlying goal.” Dr. Baldwin-Sayre’s former classmates are now her colleagues with whom she continues to work with, meet up with at conferences and consults regularly about tough patient cases. After completing her residency in general practice and cardiovascular medicine at the Center for Natural Medicine and the (then) NCNM Health Centers, Dr. Baldwin-Sayre stayed on as an independent contractor at NCNM and then pursued a career in private practice. “I was motivated to change my focus from private practice because of my work on the Board of Directors at the Oregon Association of Naturopathic Physicians (OANP) which subtly shifted my perspective from individual patients to naturopathic medicine as a whole. I realized the importance of helping to grow the profession and protect our rights as physicians. As the Associate Dean of Clinical Education at NUNM, I am now in a better position to do that than I ever was before.” Dr. Baldwin-Sayre currently serves as the President of the OANP. Reflecting on her success, Dr. Baldwin-Sayre recalls the significance of residency in offering better opportunities for practice. Furthermore, she credits external preceptorships that helped her network with NDs in the Portland community. Many of those physicians remain important mentors in her life today. Dr. Baldwin-Sayre advises prospective naturopathic medical students to *visit a local ND to gain a better understanding of naturopathic practice. **There is diversity in the practice of naturopathic medicine so it is important to keep an open mind with others’ approaches to treatment. She also encourages prospective students to establish a financial plan and take out the minimum student loans that you need to pursue your education. Work hard and set up opportunities to expose yourself to different types of practices to set yourself up to be the best doctor you can be! *Find a naturopathic doctor near you in the United States and Canada. **The scope of naturopathic medicine varies by state. To learn about the scope of practice in your state or province, visit the state affiliates of the American Association of Naturopathic Physicians website or the Canadian Association of Naturopathic Doctors. Prior to pursuing naturopathic medicine, Dr. Habib completed an Honours Bachelor of Science degree at the University of Toronto, with a double major in Life Sciences and Psychology. “I knew I wanted to be working in medicine so that I could do something meaningful and connect with people. I also wanted to implement improvements to the way healthcare was being provided to Canadians through the conventional medical system.” Naturopathic medicine seemed to bridge the gap. Dr. Habib chose to pursue his naturopathic medical education at the Canadian College of Naturopathic Medicine because of its location in Toronto, where he lives. He also saw that CCNM was the largest naturopathic institution in Canada and thus would include a high-quality curriculum. “My experience at CCNM was pivotal to my development into a professional, as well as helping me becoming a better version of myself. In hindsight, the ability to complete such a meaningful stepping stone in my education was a huge personal achievement.” Dr. Habib found that the immense amount of learning was motivating and provided an ongoing source of intellectual stimulation. “Planning for success is difficult when you don’t know what you don’t know. We all try our best. I typically think I want something, go and try to achieve it, only to leave me wanting more when I succeed. I’m on a path of continual self-discovery.” After graduation, Dr. Habib became the first naturopathic research resident in Canada, working at CCNM. He wanted to be a teacher and went on to become an academic instructor and clinic supervisor. After completing his residency, Dr. Habib discovered his love of business. “Aside from teaching, I opened a clinic, worked for a naturopathic publication, built online courses, saw patients in private practice, started an herb company, bought and sold various businesses, I couldn’t get enough!” Dr. Habib currently spends most of his time as the CFO of the herb company he founded, Perfect Herbs. 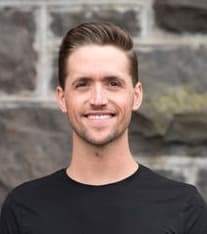 What started as a side hustle has grown and developed into a fulfilling full-time role, in which he happily serves the naturopathic community. Dr. Habib loves the diversity of career options in naturopathic medicine. “When you become an ND, you are automatically an entrepreneur. That means you can start any business that interests you and nurture it into something that can make a real impact for others.” Dr. Habib found that private practice was rewarding, but not ideally suited for his skills. He wanted to help others on a larger scale, which is why he runs companies that help optimize the work and lives of other NDs. 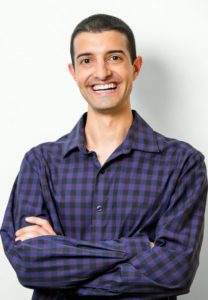 The flexibility of naturopathic medicine allows Dr. Habib to work remotely. He’s able to manage his business on his preferred schedule and has also developed passive business income streams so that he can generate revenue even when he’s not directly putting in hours. It took a lot of work, and a lot of trial and error to get to where he is now. I help my patients shift perspectives, so they can empower themselves to make the health changes they want to see. After completing her undergraduate degree in biomedical sciences, Dr. Wong considered graduate programs in cognitive psychology and molecular genetics until she found naturopathic medicine. “Naturopathic medicine is the perfect blend of concepts I love – how the human body works and how the human mind thinks. So much of what naturopathic medicine is, is to motivate people to change behaviors.” Dr. Wong loves the opportunity to work one on one with patients to gain an understanding of their health condition and offer individualized treatment plans to support their healing. “I love that naturopathic medicine embodies health as a combination of physical, mental and emotional aspect.” More importantly, the doctor-patient relationship, “allows the patient to feel heard and understood,” explains Dr. Wong, which is a huge component to unveiling the root cause of illness. 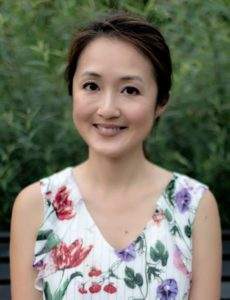 Raised in Toronto, Dr. Wong chose to pursue her naturopathic medical education at the Canadian College of Naturopathic Medicine to stay close to her friends, family and community. She saw opportunity in the teaching clinic and felt an immediate sense of belonging. Following graduation, Dr. Wong was accepted into CCNM’s two-year clinical residency program. 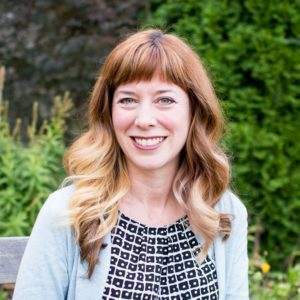 Shortly after graduation from the residency program, she transitioned into a full-time faculty role at CCNM. In addition to serving as a faculty member, Dr. Wong worked at two practices before establishing her own in Whitby, Ontario. Dr. Wong finds fulfillment in her career through treatment and career options. She focused on the end-goal of motivating her patients to better heath and contributing to CCNM. “I stayed curious and was both excited and at peace with the fact that I would never learn all there is to learn about medicine.” Knowledge of how to access resources is a valuable tool for successful naturopathic practice. Dr. Eric Secor sought out naturopathic medicine when standard medical approaches alone were not treating his chronic ear infections, skin inflammation and acne. He and his naturopathic doctor reviewed his diet and lifestyle with a common sense approach that lead to a rapid improvement in symptom management. 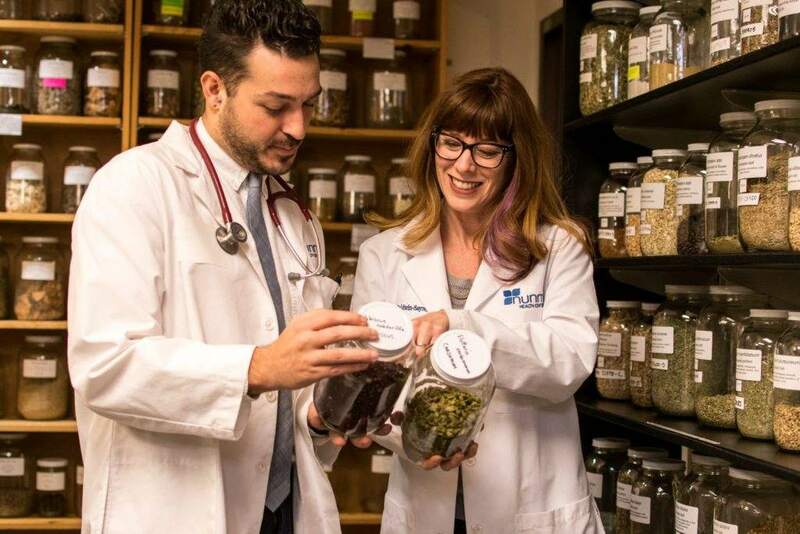 The naturopathic approach resonated with Dr. Secor and his then girlfriend, Mary Markow, ND, MS, LAc, and together they began their exploration into the field of naturopathic medicine. With family recently settled in Seattle and an interest in the acupuncture program, Drs. Secor and Markow decided Bastyr University was the naturopathic medical school for them. “Bastyr provided an incredibly strong foundation in the fundamentals of naturopathic medicine, traditional Chinese medicine and the application of wellness and lifestyle interventions.” Furthermore, the clinical rotations gave them the opportunity to experience a wide variety of approaches to private and group practice. Immediately following graduation and the completion of the ND licensing boards, Drs. Secor and Markow packed up and started their lives together. They traveled to the Czech Republic and spent time in the medical spas and in Slovakia and Vienna. 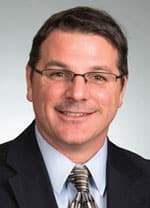 Once they returned to Connecticut, Dr. Secor pursued his interest in research at the Hospital for Special Care which had opened one of the first multi-disciplinary integrative medicine clinics. This experience led to publications and a transition to the University Connecticut School of Medicine, where he successfully competed for an NIH/NCCIH F32 and K08, venture capital funding and MPH and PHD in occupational and environmental health. His research was focused on evaluating the role and impact of botanicals such as ananas comosus and their extracts as immune-modulators. As the proud father of two teenage daughters, Dr. Secor will see his oldest off to culinary school this fall and his youngest will enter high school. He currently oversees and advocates on behalf of integrative medicine within Hartford HealthCare and its Cancer Institute. Dr. Markow works for the same system as an Integrative Medicine Physician and acupuncturist. Dr. Secor describes his role as “a challenge and blessing being one of the only NDs directing and growing a multi-site hospital-based IM program.” He enjoys the opportunity to work with an integrative team of health care providers to offer the best care possible.